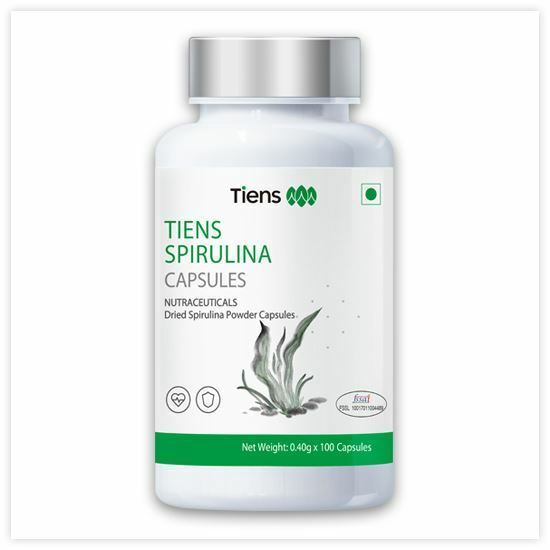 Tiens brings one of the greatest sources of protein, Spirulina (a plant protein- algae) in the form of capsules as Tiens Spirulina Capsules. Spirulina is the highest, most balanced and most digestible plant protein source known to the present world. It is a source of several important phytonutrients not found in any other green foods. It is the best natural source of anti oxidants and natural anti-ageing product. It is the world's richest natural source of protein, iron, vitamins (B- complex, C and E) and minerals (magnesium, manganese, zinc, copper, etc). Spirulina is 100% natural, non-toxic and cholesterol-free. There are no known side effects of Spirulina. • It helps to control obesity, strengthens heart and cartilage of knee. • It helps in protecting eyesight. • It is natural source of anti oxidants and anti ageing product thus Spirulina helps to stay young. • It helps body to repair damaged tissues and muscles, enhances body immunity and thus strengthens body's defense mechanism. • It helps in reducing cholesterol and benefits the heart. • It is the only vegetable source of vitamin B12 and helps to calm nerves and fights stress. • As it contains many nutritional elements along with iron it is good for treating anaemia and malnutrition. • Enhances the body's ability to generate new blood cells. • Helps to improve the functioning of spleen and thymus glands. • It has also been observed by the scientists that Spirulina enhances the numeric growth of macrophages and they become activated and more effective at killing germs. • Spirulina provides a glowing skin.